The Caribbean Development Bank is forecasting a positive economic outlook for its borrowing member countries (BMCs) for 2019. 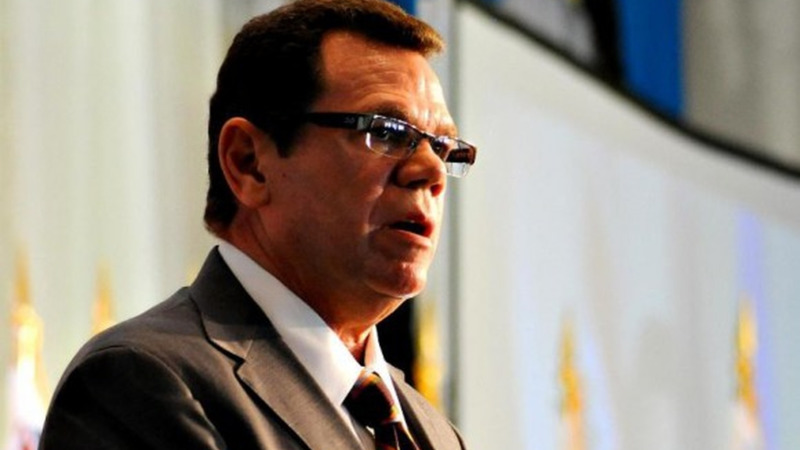 CDB President Dr William Warren Smith said that the CDB is projecting that real GDP growth will be around two percent, as construction, tourism, and the extractive industries, such as gold and oil, are expected to expand. Speaking at a press conference held at the CDB’s office in Barbados on Thursday, Dr Warren Smith said to sustain these gains over the medium term, its member countries will need to step up their efforts to build long term resilience and tackle at least three challenges head-on: Climate change, evidenced by extreme weather events, and energy insecurity; wide fiscal deficits and high public debt; and high unemployment, especially among the youth. 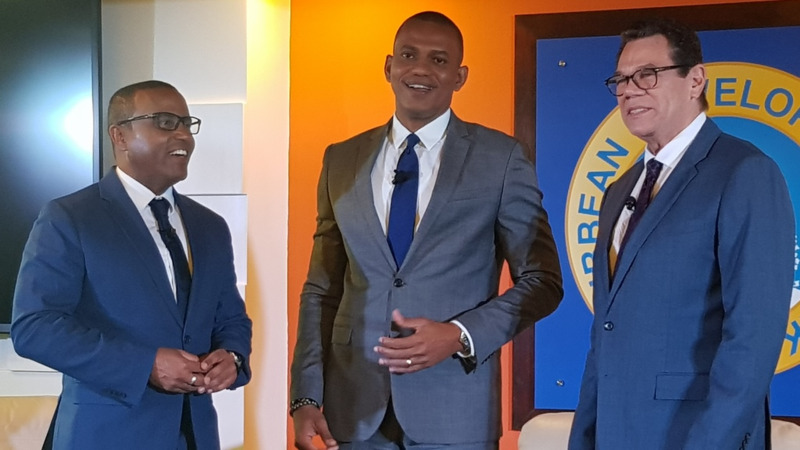 Looking at the performance of the Caribbean over the last year, Dr Warren Smith said the majority of the Bank’s BMCs recorded economic growth averaging 1.9 percent, compared with 0.5 percent in 2017. The fastest growing economies were Grenada (5.2 percent), Antigua and Barbuda (3.5 percent) and Guyana (3.4 percent). “In the case of Grenada, its strong performance continued a five-year positive trend that averages around five percent. 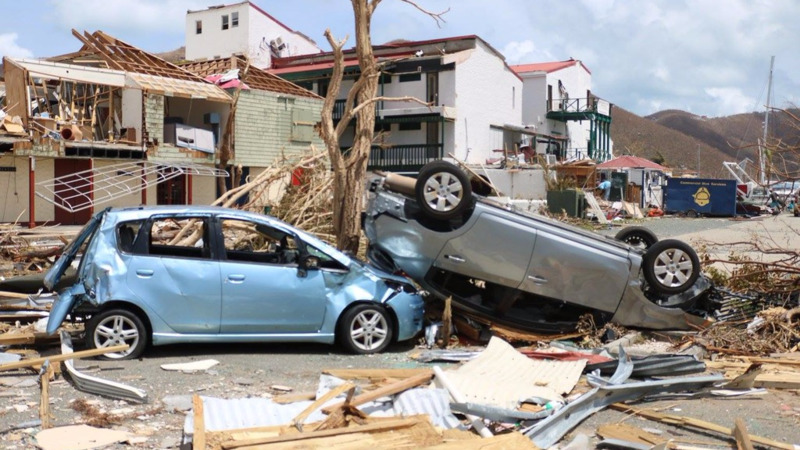 For Antigua and Barbuda and some of the other BMCs that were affected by the 2017 hurricane season, reconstruction efforts contributed to their upturn,” he said. Looking at other islands that continue to be challenged, Dr Warren Smith said real GDP contracted in Barbados despite modest gains in tourism, one of its key sectors. This contraction was attributed to the impact of fiscal consolidation and the fall in construction activity. “Anguilla’s economy also declined, due to an almost 40 percent fall-off in visitor arrivals, following hurricane damage to the hotel stock in 2017. For the same reason, the Virgin Islands experienced a 50 percent decline in visitor arrivals. Nevertheless, real GDP grew by over two percent as a result of buoyant business and financial services activity. Most other BMCs welcomed growth in visitor arrivals. 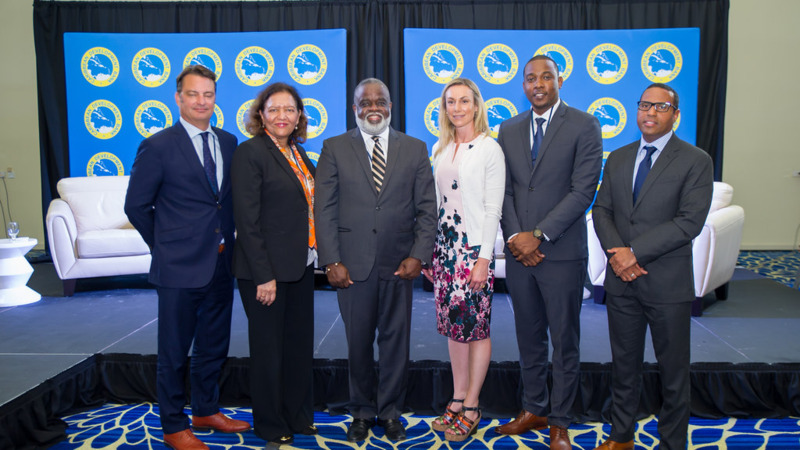 According to the Caribbean Tourism Organization visitor arrivals increased by 15 percent in Belize, and by about 10 percent in the Cayman Islands and in Grenada,” he said. Looking at commodity-exporting countries, Dr Warren Smith said higher oil production and prices drove higher growth in Suriname and in Trinidad and Tobago. Buoyant gold prices also benefitted Suriname, although there was little change in actual production. He said Growth in Guyana was linked mainly to robust construction activity, in advance of the first commercial production of oil in 2020. Looking at the region’s fiscal performance, Dr Warren Smith said it varied across the region. “Debt as a share of GDP decreased in 13 BMCs, although for at least half of our BMCs, the ratio continued to exceed the international benchmark of 60 percent. Public finances in some BMCs continued to be affected following the 2017 hurricanes. In Anguilla, tax revenues fell, while expenditure, much of it related to recovery, rose. In Antigua and Barbuda, rising public expenditure was accompanied by lower non-tax revenues, especially from the Citizenship by Investment (CBI) programme. Indeed, it was only in St. Kitts and Nevis that CBI revenues rose, following the launch of a new fund in late 2017,” he said. He said for Grenada, the fiscal position continued to improve, thanks to strengthened expenditure management and tax compliance while sustained economic growth contributed to better fiscal performance in Suriname and in Trinidad and Tobago. He said as part of the first stage of recovery in Barbados, debt restructuring and fiscal restraint helped to achieve an increased primary surplus. Belize, he said, also recorded a primary surplus, attributable to revenue enhancement measures taken as it sought to meet the requirements of its 2017 debt restructuring programme. In 2018, the CDB approved projects totaling US$352 million. Disbursements totaled USS280 million, representing a 20 percent increase compared with 2017.